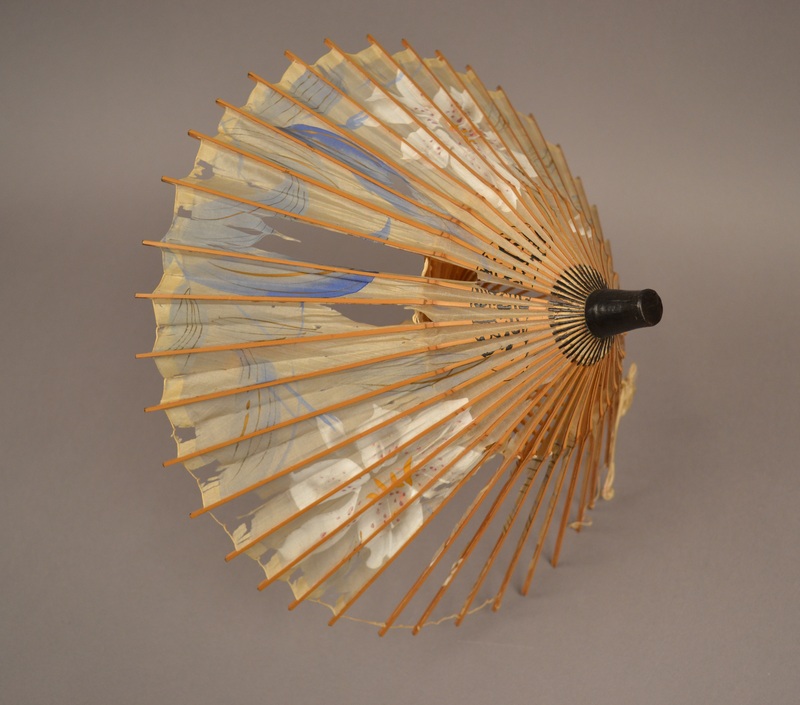 This higasa, or parasol, is one of the Miss Kyoto doll accessories. 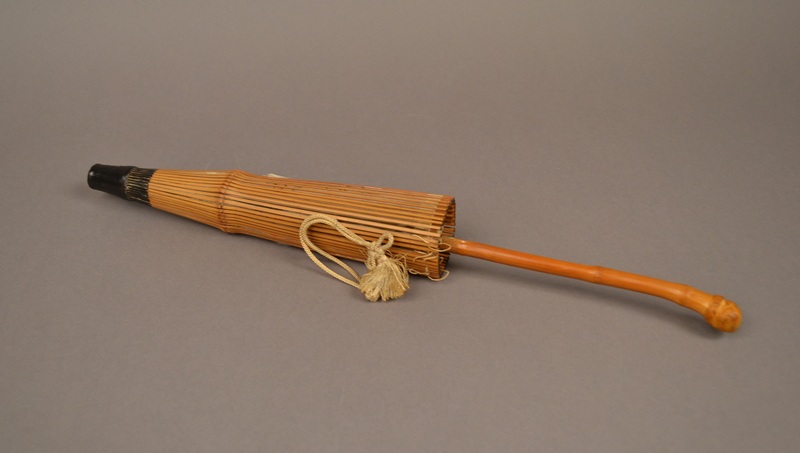 The parasol has a bamboo pole and ribbing, with a black atama rokuro (top cap) and a silk covering that has mostly deteriorated over time. The remaining silk is a neutral color (perhaps faded from white) with painted flowers in white, blue, and yellow. 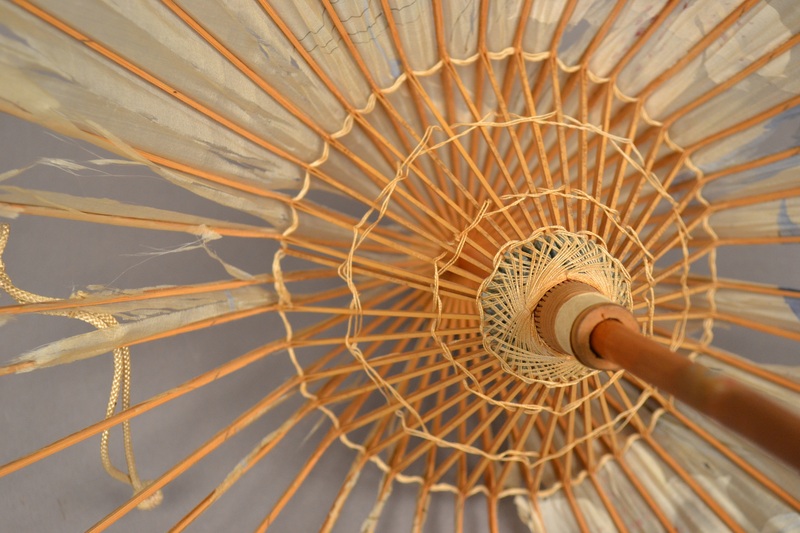 Wagasa (literally "Japanese umbrella") are traditionally made from oiled paper. Surface paintings of wagasa usually feature traditional Japanese imagery. 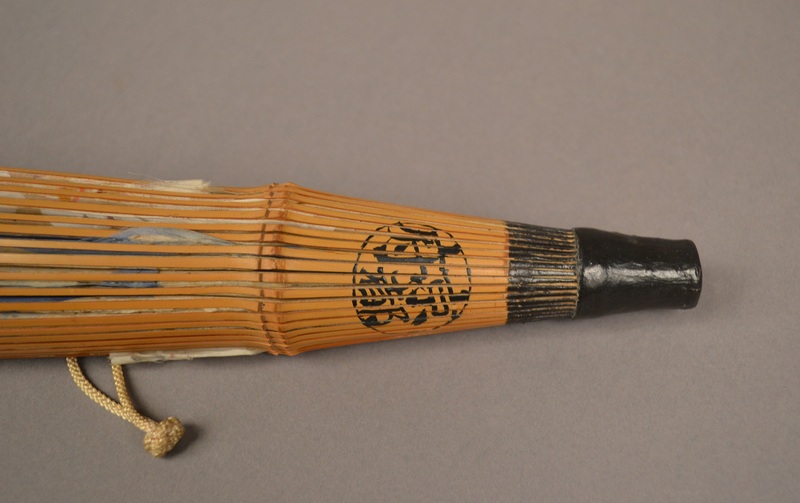 While they are used in daily life, wagasa are typically associated with geisha, traditional dance, and the tea ceremony. Different color wagasa have different connotations and symbolism; for example, in traditional weddings, brides are usually covered under a red oil-paper umbrella. 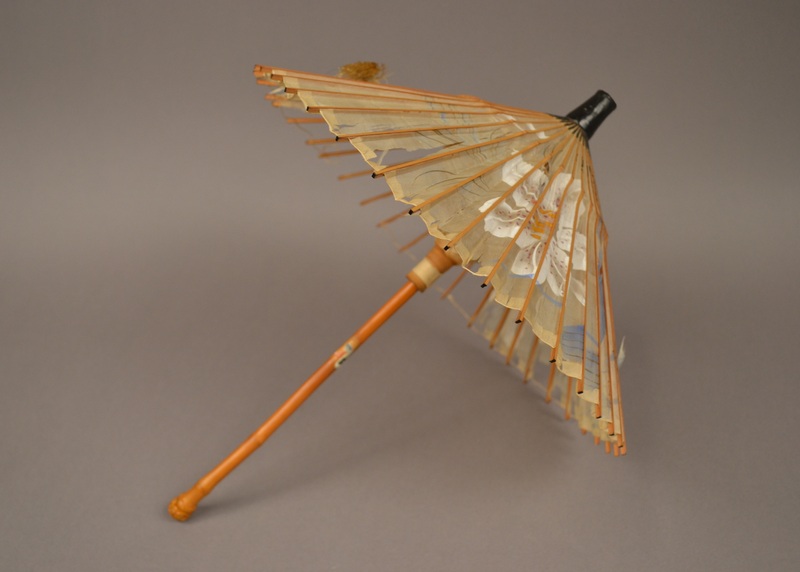 Higasa is another term for parasol, literally translating to "sun umbrella."